Our last tea review covered Tregothnan's teas, which are made from the only tea plants grown in England for commercial use. With that in mind it seemed logical that the next review should be of American Classic Tea, which is the currently the only tea being grown for commercial use in the United States. 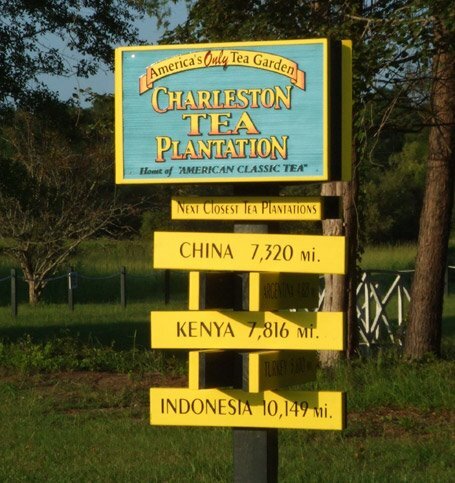 It all takes place in South Carolina, at Bigelow Tea's Charleston Tea Plantation. The Plantation's Web site is located here. There have been a flurry of articles in various newspapers about the Plantation over the last few months. Here's a recent one by the Associated Press. Here's a good article, from TeaMuse, about tea production in the United States. It's kind of a limited topic and the article is about five years old, but it's still worth a look. American Classic Tea, as far as I can tell, is only available in tea bag form. It's a black tea and my understanding is, that because there's not a whopping amount of tea produced at the Plantation, it's blended with other black teas. 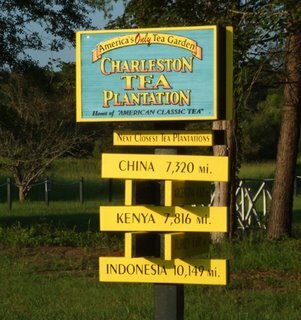 While it would be interesting to taste the Plantation's tea on it's own, in loose tea form, apparently that's not possible right now. As for the tea itself, well, I have to say that I wasn't exactly bowled over by the taste. I wouldn't go so far as to say that it was bad, but I found it to be a little bit on the harsh side. Of course, I typically drink everything straight up - no additives. If you're keen on milk, sugar, lemon and whatnot, you might find American Classic to be much more agreeable. You can order American Classic Tea directly from Bigelow, but you'll have to buy a minimum of six boxes (144 bags total). I haven't done any research into where to buy it in smaller quantities, but I'm sure Bigelow could answer that one, if you'd like to know. Loose American Classic Tea is available now at http://www.bigelowtea.com/act/ They have four different blends, a Breakfast, Gray, Raspberry and Peach. I've never had tea grownin America, it should be an interesting experamint. American Classic Tea is not harsh if made as sun tea, but there is no need to put it in the sun. Place the tea bags in a glass or good quality plastic container, use filtered water, and leave about six hours. It is light, but the tastiest and most refreshing tea. Thanks to Southern Living magazine, which featured the plantation, I have been drinking American Classic Tea about twenty years--long before Bigelow bought it.